Robert Sturgeon is an attorney in the Construction, Environmental, Real Estate and Land Use Litigation practice group in the firm's Los Angeles office. Mr. Sturgeon represents clients in commercial disputes, with particular focus on representing contractors, design professionals, owners and lenders in both the private and public spheres in matters relating to design and construction. 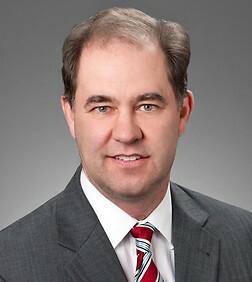 He advises clients on project disputes and claims and litigates design and construction matters in state and federal courts, as well as in domestic and international arbitration. Mr. Sturgeon has extensive experience litigating claims for delay and changed work, construction defects, surety bond issues, mechanics' liens and stop payment notices, public works and subcontractor listing law claims, bid protests, false claims, design professional negligence and breach of contract. He also drafts and negotiates construction contracts and subcontracts, design professional contracts, design-build contracts, alternative/renewable energy generation agreements and construction management agreements. In addition, Mr. Sturgeon represents clients in international investment arbitration, unfair competition, breach of fiduciary duty and fraud, breach of contract and lease disputes, misappropriation of trade secrets, misappropriation of likeness and products liability disputes. Parsons Transportation Group Inc. – Represented contractor in connection with multiple projects for installation of positive train control system upgrades on public transit railways. Advised as to change order and subcontractor listing law issues. Litigated claims by and against subcontractors involving delay and/or deficient performance. Parsons Corporation – Represented engineering firm and associated individual clients against nuisance, negligence and related claims. Successfully obtained summary judgment for individual clients, resulting in dismissal of engineering firm. County of Orange — Represented owner in connection with expansion of John Wayne Airport, including drafting of project agreements; advising regarding claims for changed work and supply of defective equipment; litigating contract and bond claims against contractor for airport fire station and litigating disappointed bidder’s action for writ of mandate regarding award of contract for passenger processing system. Representing in action brought by Chinese Hospital Association. Defended action brought by San Bernardino County arising out of Adelanto Detention Center Expansion Project. Defended against petition for writ of mandate by disappointed bidder for program management contract awarded by Los Angeles Community College District. Obtained judgment in favor of client and LACCD. University of Southern California — Represented owner and general contractor against claims by subcontractors for additional compensation arising out of construction of tower addition to University's cancer institute. Representing owner on its counterclaims against subcontractors and designers for damages arising from project defects. County of Orange — Represented owner in connection with claims for delay and changed work arising from county flood control project, including cross-complaint for false claims. Bank of America, N.A. – Represented lender/owner in connection with claims against design professionals for deficiencies in design of resort hotel project. Fluor Corporation — Represented design-builder in arbitration with owner concerning nitrogen production facility in Gulf of Mexico. County of Orange — Represented owner against claims by contractor and subcontractor for delay and changed work arising from County jail project, including cross-complaint against subcontractor for false claims. Palos Verdes Library District — Represented owner in prosecution of indemnity action following prior defect claim by owner against contractor, architect and construction manager, and in defense of subcontractor's claims for additional compensation. Represented in international investment arbitration (ICSID) under Korea-Oman bilateral investment treaty. Advised in connection with construction disputes with Saudi Aramco. Bank of America, N.A. – Represented construction lender in multiple lien and stop notice actions arising from large-scale residential development project in San Diego. Obtained summary judgment and award of attorney’s fees against stop payment notice claimant and successfully defended claimant’s appeal. Bank of America, N.A. – Represented construction lender in consolidated mechanics lien and stop notice actions involving residential development project in Inland Empire. Indymac Bank – Represented construction lender in stop notice and mechanics lien actions arising from development project in Northern California. URS Corporation — Represented contractor in connection with claims for personal injury arising from project for disposal of ordnance at military sites. Parsons Engineering Science, Inc. — Represented contractor in prosecution of claims against laboratory subconsultant for breach of contract, negligence and fraud in connection with testing of environmental samples. ARB, Inc. — Represented contractor in litigation involving landfill gas recovery project, including breach of contract, delay and defect claims. M.A. Mortenson Company — Assisted in defending arbitration claim brought by steel erection subcontractor for Southern California water filtration plant and prosecuted counterclaim; arbitrator's award was to contractor only for all damages sought in counterclaim. Orangeburg Plastics Company — Represented manufacturer in multiple litigations regarding allegedly defective polybutylene pipe in municipal water systems. Parsons Engineering Science, Inc. — Represented contractor in successful defense of bid protest on public contract for design and operation of statewide network of automobile smog testing stations. Parsons-Dillingham, A Joint Venture — Advised construction manager regarding claims against owner for failure to make payment for services performed on Metro Rail project. Exxon/Mobil Corporation — Part of Sheppard Mullin team in litigation of claims by various public entities in multi-district MTBE litigation. Art Center College of Design – Drafted suite of contracts (construction, architecture, engineering, design-build, owner’s consultant) in connection with capital expansion of campuses. Automobile Club of Southern California – Drafted design and construction contracts for various projects; advise during construction. Orange County Museum of Art – Assisting with drafting of contracts and advise re construction of new museum. Energy Company – Draft agreement/amendment for operation and maintenance of alternative energy windfarm; advise re dispute issues. Framestore, Inc. – Draft and advise re various construction contracts.